BMW i8 is truly a most progressive sports car as claimed by the German auto manufacturer. You will surely fall for the looks at first sight without looking at the specs. Sleek, powerful and inherently eco-friendly, the all new BMW i8 represents the next generation of luxury hybrid sports cars. But can the new model hold its own against its high spec competitors such as the Audi R8 and Porsche 911? To help you decide, we’ve put together a comprehensive overview of the new vehicle and what to expect while on the road. When combined, the turbocharged 1.5 litre three-cylinder engine and electric motor deliver an impressive 357 hp. With a supercharged acceleration time of zero to 60 mph in just 3.8 seconds, the BMW i8 is at the top of its game when it comes to delivering on sports car credentials. While owners may never get the chance to push the car to its limits, it is a nice ego boost to know that sixth gear offers a top speed of 155 mph. Whether you currently own a BMW or are thinking about treating yourself to the all-new i8, why not browse BMW’s Service Inclusive packages to keep your luxury wheels performing at their best. 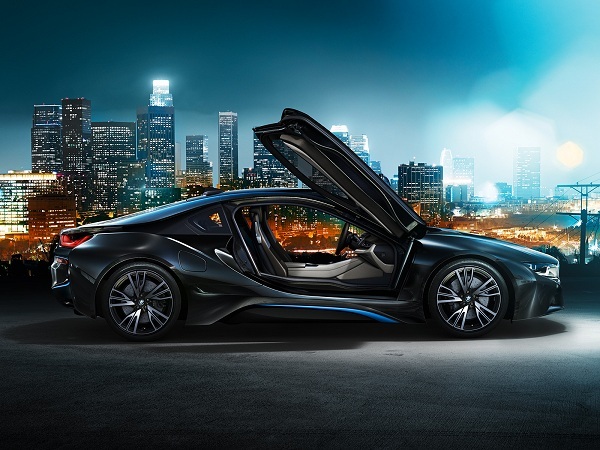 Featuring ultra-modern swan wing doors, sleek low line silhouette, premium quality finish and trademark i8 ‘black belt’ element, the all new BMW i8 doesn’t compromise on looks. Inside, passengers are treated to lightweight sustainable materials, visible carbon elements and customisable LED ambient lighting options. BMW is all about sustainability so it comes as no surprise that engineers have managed to include an additional two rear seats for extra passengers. As well as being practical, it’s also a great eco-friendly touch. One of the first things you notice when cruising in the i8 is the wonderfully responsive electric power steering. From the city to the countryside, drivers are guaranteed exceptional control. Regenerative braking technology automatically activates when the accelerator is disengaged, a feature that is both efficient and intuitive. While the friction-electric blend brakes are incredibly smooth on the open road, they do tend to be a little jumpy when driving around town. 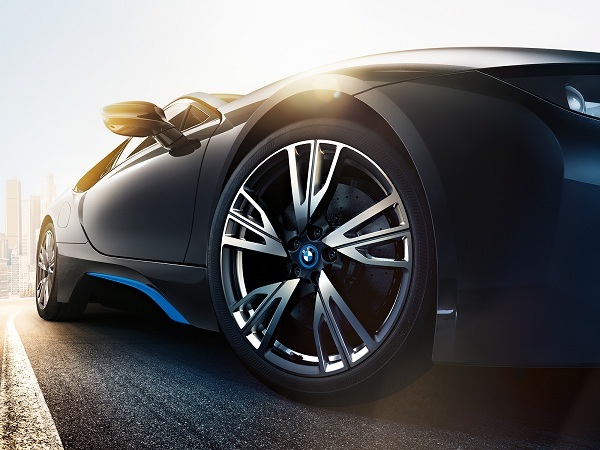 With a chassis featuring a reinforced carbon fibre body module, aluminium inserts and substructures designed to support suspension, steering and gear changes, the i8’s internal build is made for high performance. Despite the car’s impressive performance, BMW has still managed to create a model that offers drivers efficient eco-friendly options. 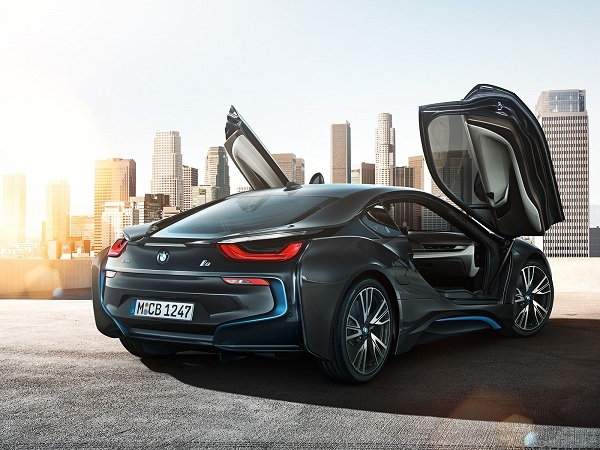 When switched to Eco Pro and eDrive modes, the i8 offers 22 miles of electric run time with a zero emissions output when carrying only one passenger. With an increasing number of cities establishing CO2 free zones, this could represent invaluable convenience for inner city commuters. 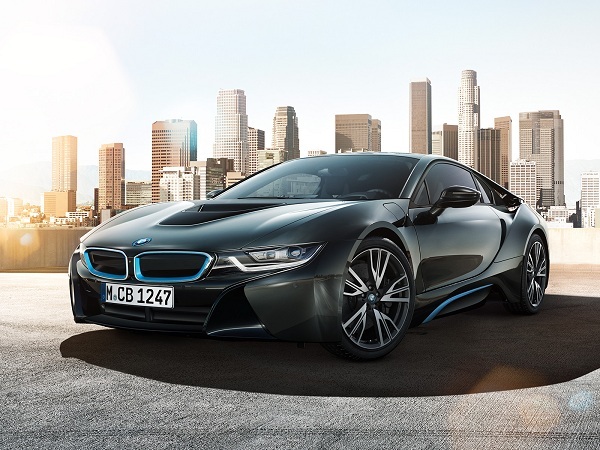 With an introductory price tag of £99,845, the i8 definitely falls into the luxury car category. That said, its sustainable features instantly slash running costs while the high quality build guarantees owners a vehicle that will stand the test of time. Overall, the new i8 is an incredibly impressive effort from the luxury German company. The new model offers buyers all the efficiency of a compact car without compromising on power, precision and performance.